Trois Couleurs: Vélo, originally uploaded by [Zakkaliciousness]. Sometimes I see things on the street that just plain excite me so much that I literally fumble when I get the camera out of my pocket. Fragments of urban life. Moments of clarity. Pretty colours. 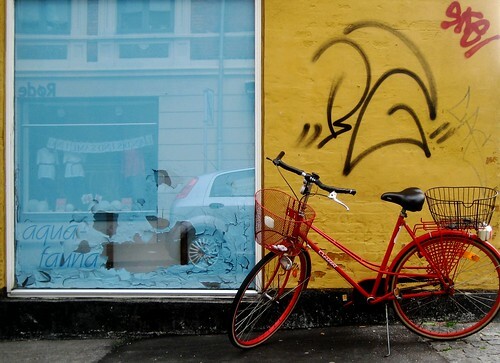 Here we have a classic Copenhagen bike against a classic Danish yellow colour used on buildings. Couldn't be better.